PQRS penalties for 2015 will be assessed based on whether providers meet benchmarks in 2013. Although radiologists qualify for the 0.5% Centers for Medicare & Medicaid Services (CMS) bonus payment through the Physician Quality Reimbursement System (PQRS) at a higher rate than many other medical specialties, they’re still leaving a lot of money on the table. For now, not pursuing the bonus payment equates to a missed opportunity, but in 2015, noncompliant providers will be penalized by having their reimbursement reduced by 1.5%. To complicate matters, the penalties will be assessed based on whether providers meet benchmarks using 2013 data. To begin quantifying radiologist compliance and identifying areas for improvement, Richard Duszak, Jr, MD, CEO and senior research fellow at the Harvey L. Neiman Health Policy Institute, and colleagues analyzed PQRS program data from 2007 to 2010, the most recent years available. 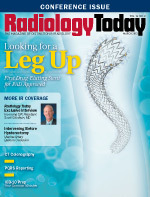 The study was published in the February issue of the Journal of the American College of Radiology. It wasn’t all bad news, though. The study found that radiologist compliance in 2010 was 24% compared with 16% among other providers. However, the researchers estimated that noncompliance could cost radiologists as much as $100 million by 2016. The study focused on four areas based on claims information submitted to the CMS in interventional and diagnostic radiology, nuclear medicine, and radiation oncology. Although some of these groups had significantly different qualifying rates, it’s unclear whether some subspecialties have an inherent advantage in qualifying for payments. Because there was a large size variation in these populations—only 123 physicians qualified for nuclear medicine incentive payments in 2010 compared with 9,461 diagnostic radiology qualifiers—it’s difficult to draw conclusions based on a particular specialty. For this reason, the groups were combined to analyze trends over time. Duszak says additional research will be required to analyze differences among subspecialties. While it is difficult to pinpoint the exact causes of noncompliance, Duszak sees three areas that influence success rates. The first area relates to physician factors. Some physicians may not be aware of the precise documentation that’s required or may need to reengineer their workflow to capture all of the necessary information. The second area relates to administrative issues. A practice’s coders not only need to correctly identify the documentation within physician reports or medical records, they also need to appropriately transmit the information via closed, secure processes. The third area relates to CMS approval. Even if the physician and administrative pieces are perfect, a more vexing problem is whether CMS contractors are acknowledging the claims. Understanding CMS criteria can be confusing and frustrating. Many physicians lament that CMS metrics have little to no effect on patient care. For example, physicians are rewarded for documenting the amount of fluoroscopy time for a patient encounter, but they receive nothing for reducing the dose that a patient receives. In addition, some physicians have anecdotally reported difficulties in qualifying for CMS bonuses, but no studies have been done to determine the extent of the problem. As an early responder to PQRS in 2007 (then called the Physician Quality Reimbursement Initiative), Duszak changed his documentation, performed internal audits, and made sure that he and his business office staff were nearly 100% compliant with CMS guidelines. When the bonus checks were issued two years later, he was listed as deficient. Duszak says it’s possible that there is some mechanism in the Affordable Care Act that will simplify the reporting and response processes, but that may take years. One of the biggest problems with the current system is that there is an extremely long delay between when data are submitted and when the CMS provides feedback, which is why the 2013 data will affect 2015 penalties. As a practical matter, Duszak has seen some incremental movement by the CMS to shorten the feedback loop, but he hopes to see more in the coming years, along with more clearly defined and relevant metrics. Until that happens, however, physicians will have to work within the current system. An interesting finding from Duszak’s study was that practices that used a registry system to submit their data to the CMS were four times more likely to receive bonuses than physicians who submitted claims directly. The sample size is small, so it’s a bit early to draw conclusions, but Duszak says it’s possible that the CMS-approved registries, which any practice can sign up for, may have a better handle on how to work through the CMS’ bureaucratic process. If they can remove some hurdles, registries may be a worthwhile investment. There also are practice improvements that may raise qualifying rates. To begin, physicians need to understand which metrics they need to document. Duszak says this process can be made easier by using templates that remind clinicians to document specific types of data whenever service is rendered. This type of fill-in-the-blank approach relieves the burden of remembering extra steps. On the billing side, practices need to look at how well their billing company is reporting the metrics. Duszak says practices should request reports from the CMS to find out whether most or all of their physicians have good scores and are getting their bonuses. If the answer is no, the practice manager, physician leadership, and billing company should have a conversation about how to improve the situation. Although radiologists as a whole are doing a better job of getting bonus payments than most other physicians, there’s still plenty of room for improvement. Duszak says the good news is that compliance rates rose throughout the study period. Still, getting ahead of the curve will pay dividends down the road. — David Yeager is a freelance writer and editor based in Royersford, Pennsylvania. He primarily writes about IT in imaging for Radiology Today.